Chocolate Easter bunnies. They're my Achilles heel, so it's easy to understand that during the month of April, it's been a really tough time for me. I struggle to not take a bunny home, stick it in the freezer and start nibbling on its ears before I've even had dinner. Well I must admit I've given in and had a few Easter bunnies (not going to give you the actual number!) but you know what - it's going to be ok. I'm discovering that when I do treat myself to something like chocolate, I can relax and actually enjoy it. I'm not freaking out about how many calories I've just devoured or what I can't now eat later in the week. I'm keeping my cool because once you adopt a routine, doing something that may deviate from that plan while at first can seem bad, it can actually drive you right back into that routine, back into another F45 session and back to burning off the unwanted fat. Life is about balance and signing up to F45 is all about giving it your best, but knowing that it's okay to eat things that may not be the healthiest choice, as long as it's not a regular pattern. Eat clean where possible, exercise frequently and be happy. I get quite a few questions about how often I'm going to F45 Training Newmarket. I'm doing it fairly regularly, about 3-4 times a week; typically on Tuesdays, Wednesdays, Thursdays and then the Hollywood, 1 hour circuit on Saturday mornings (7:30am or 8:30am) to really kick the weekend off the right way. I find during the week the lunch time sessions fit my lifestyle best, as I'm not a great morning person and can't bare the thought of a 5:30am wake-up. Being self-employed too allows me to tackle my to-do list and meetings in the morning, knowing that I've got the lunchtime session to look forward to, and then back at my desk in the afternoon. It's quite a refreshing routine, as it breaks up my day and gives me a needed boost to see me through the afternoon lull. While writing this I've just remembered this funny session with the comical trainer Guy a few weeks back where the track Hungry like the Wolf by Duran Duran came blasting out over the speakers. At this late stage of the 45min session, I was already struggling to do any decent pull-ups on the bar, one of the most challenging exercises. But when this outstanding 80's track came on, it took my mind back to that scene in the classic movie Old School where Frank's wife has a few of her friends over for an evening with a 'fitness instructor' of some type and Frank swings by unannounced only to get the wrong end of the stick. This flashback made me laugh so hard that I really couldn't do any more push ups, even with resistance bands assisting me. Even in amongst the toughest workouts, there's time for a laugh or two and that's the point. You'll end the session having had fun, having sweated enough to fill a kid's pool, and your muscles will feel powerless. Yet you're left with that feeling of accomplishment and know you've done some good for your body and mind. I must admit I was nervous about this final check in. I had done so well at 4 weeks, but knowing that was a fantastic result, I questioned whether I could do as well the second time around. I set myself up to expect that if I managed to drop additional body fat, no matter the size, then that was a success worth being happy about. I began my F45 assault with 20.12% body fat and a weight of 77.85kgs. 4 weeks later I shaved off a solid 4.47% of my body fat to hit a total of 15.65 % and dropped down to 76.5kg. Remember that weight is a tricky one as you have to ignore it to a certain extent. Your weight includes muscle and when you're doing high-intensity workouts, you're not only burning fat but you're also more importantly toning up and building muscle, which weighs more than fat. So the real measure which gives you an indication of progress is the body fat count. After an intense cardio session, Rhys grabbed the several points around my body to take my body composition measurements. After writing down a bunch of figures and doing the calculations I'm so happy to share that I managed to drop a further 3%. That now has me sitting at a body fat percentage of 12.63%, that's a sizeable decrease of 7.59% from where I started 8 weeks ago. My weight is now 75.95kgs a total drop of 2kgs. The proof is in the pudding, or actually on my body. I've felt the changes, people have commented on it and now it's become so real seeing these numbers. It's plain and simple, F45 works, you've just got to turn up, go hard and make sure you're putting in the right stuff as fuel. 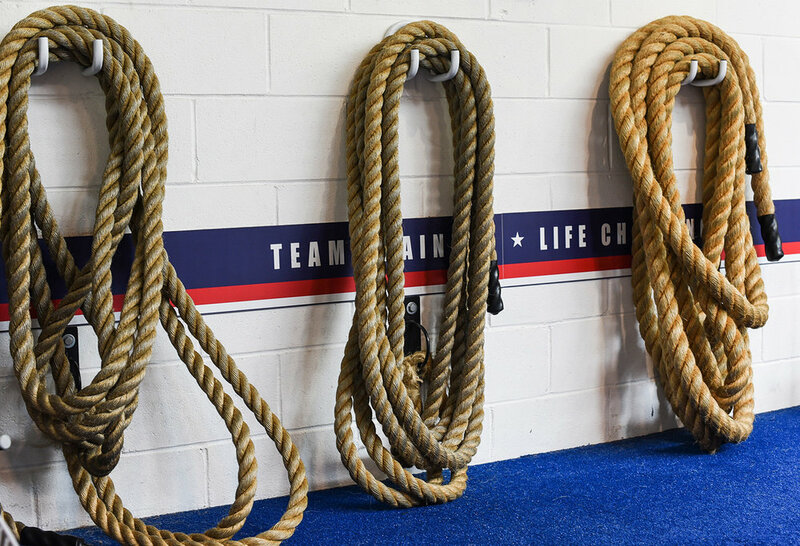 If you do want to give F45 Training Newmarket a whirl, I recommend setting yourself up for success before you even complete your first workout. While I know it can be a tad scary getting weighed and your body fat measured, I can assure you from my own experience the purpose of getting these numbers outweighs the need to be worried about what the figures will be. Getting your measurements done is the simplest way to give you a benchmark and a starting point that will allow you to track your progress and know how far you've come and what you need to do to reach your goal. I'd also highly suggest grabbing the Lion Heart, which I've talked about earlier in this series. Essentially it's a device that gives live reads on your heart beat and your work rate and displays it on big screens in the studio while you workout. Yes it may seem daunting having your stats up on screen, but it's about transparency and it allows the trainers to motivate you, and push you harder towards achieving your goals. Plus you get a post workout email summary showing you calories burned and your average work rate. F45 Training Newmarket isn't just something I'm doing for 8 weeks and then walking away from, it has become an integral part of my weekly routine. I'm ecstatic at the results, love the comradery and the support from the team at the studio. I just couldn't get this anywhere else. And I can honestly say, it's a place for everybody, no matter your fitness level or abilities. While this 8 week challenge comes to a close, my F45 journey certainly hasn't. I've signed up for another 8 weeks, to continue to make F45 an integral part of my weekly routine. Over the next 2 months I'll be going to more sessions, pushing myself even harder and even better I'll be welcoming onboard a small bunch of mates to join me for the ride. Stay tuned to my blog & social as I'll be covering our collective journey as we kick off beginning May. If you're keen to join me in a F45 Newmarket training session, then get in touch as it would be great to see you there. You can easily sign-up to a free 7-day trial and if you mention me online you can also score yourself 10% off your membership, and if you do this during the month of May you'll go in the draw to win an amazing free 12-month membership at F45 Training Newmarket. Go on, make the first step towards achieving your fitness goal. Your body will love you for it. This article is the final instalment of a 3 part mini-series covering my initial 8 week F45 journey. Stay tuned for something very exciting launching early May as I continue to make F45 a crucial part of improving my life, but this time I've roped in a few close mates to join me on the ride. S/o to Whey House for supplying me with organic protein powder - use my code jahebbarnett to get 10% off your next order.